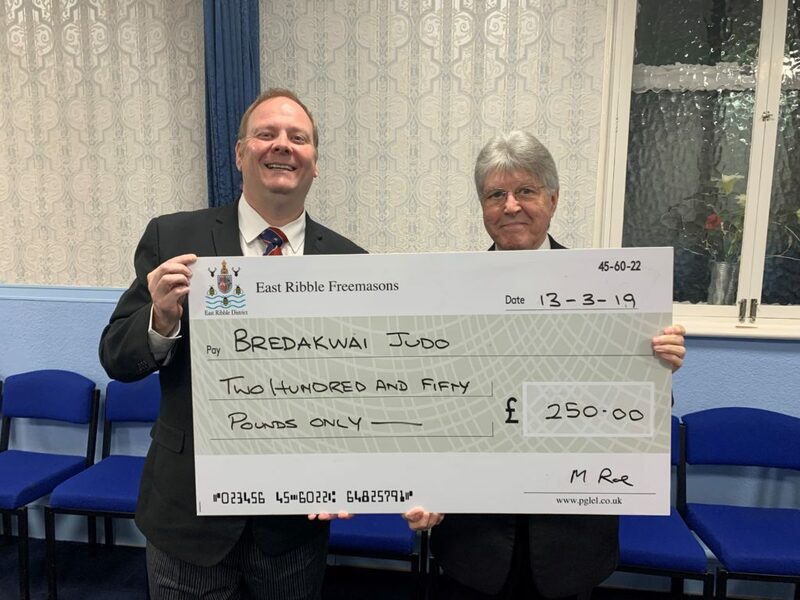 On 13th March 2019 a cheque was present for £250 to Bredakwai Judo Academy. This academy has been in existence for ten years and brings children and adults from all walk of life, in off the streets, to learn a sport which teaches respect and discipline. The academy has recently moved to a new premises and needs help in bringing the facility up to the standards required by adding new toilets and shower facilities. East Ribble Freemasons were happy to help in making a donation to this worthwhile cause. Pictured is Assistant Charity Steward Malcolm Roe (left) presenting a cheque to fellow Freemason Ray Tattersall, a family friend of the organisers of the Academy.